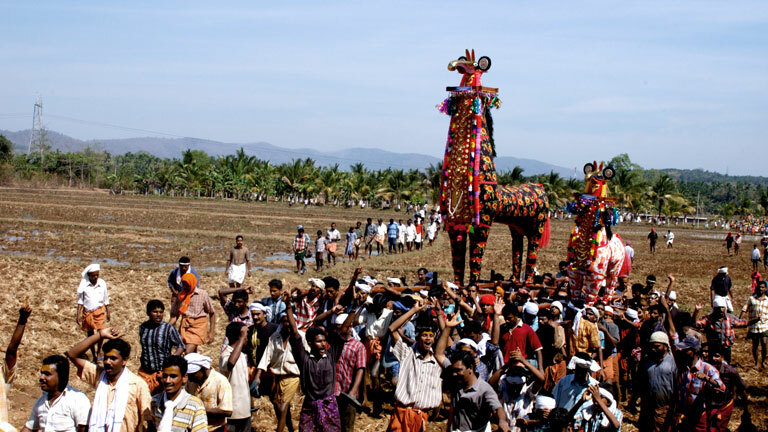 The festival of Machattu Mamangam is associated with Machattu Thiruvanikkavu Bhagavathi temple. A rare confluence of different cultures of modernity and traditional can be witnessed in this five-day long festival. The people here owe their prosperity and happiness to Kavil Amma, the presiding deity. The festival days bring a great deal of joy to the devotees. The highlight of the festival is the procession on the concluding day. It would feature richly decorated kuthira kolams (effigies of horses), ceremoniously brought to the temple by the devotees as offerings. The procession is accompanied by players of traditional percussion instruments and it culminates at the temple premises, making it a memorable event.